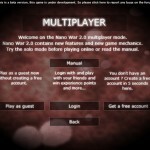 I’m proud to annonce the release of the multiplayer mode of Nano War iOS (update 1.05). The Multiplayer mode is FREE! 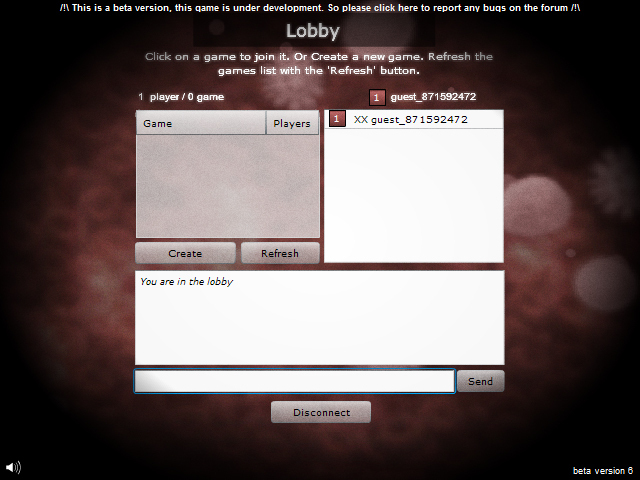 The multiplayer mode uses Game Center and the matchmaking service. The online game works very well. The gameplay is very smooth. I didn’t see any lags. You can invite your friends and play against them up to 4 players. 10 seconds after tapping the matchmaking button a player joined the game. I played against 4 different players and each battle was different. There are 2 different maps for 2, 3 and 4 players. But I will to add more maps and more features. Finally the sequel of Nano War 1 released in november 2007. I hope that new game will be a great success llike the first episode. Every humans own billons of nanoscopic cells. Some of these cells are doomed to protect our organism and fight foreign organisms. Even confined to smaller and unlikely places the war is present. Welcome on Nano War 2. 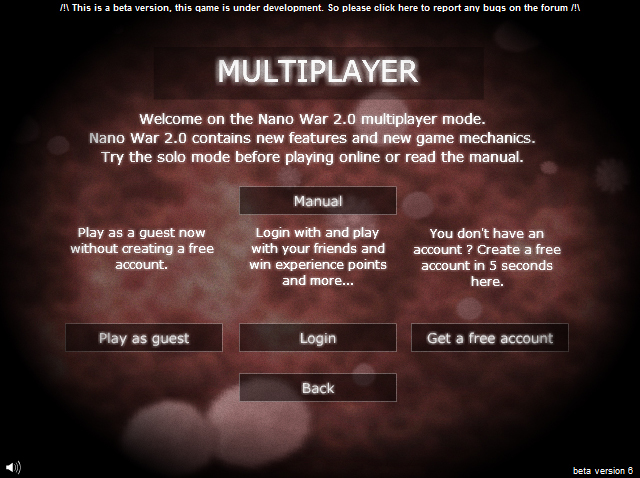 Play Nano War 2 on Kongregate. 25 levels: play against 1, 2 or 3 computers. Multiplayer: play against 1, 2 or 3 players. The White blood cell: Increase your cells and capture opponent’s cells. 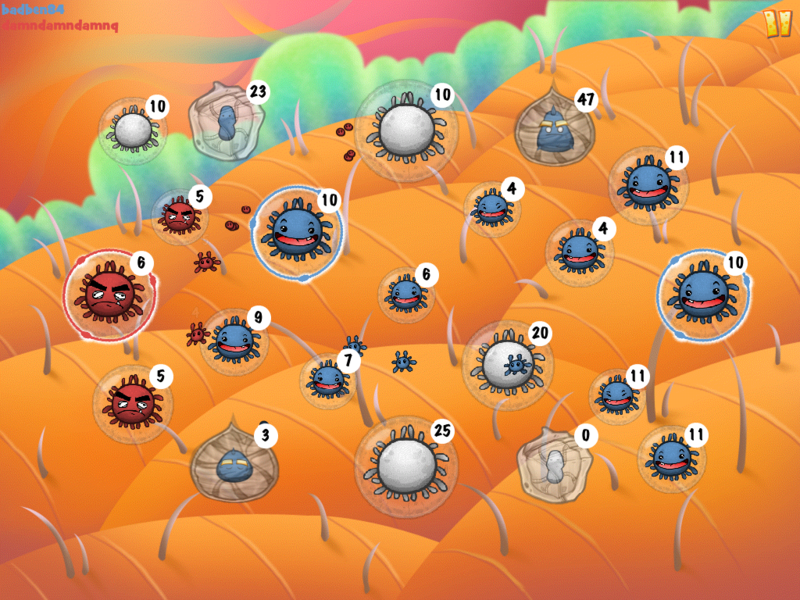 The Antibody cell: The most powerfull cell, increase your production or capture opponent’s cells and units instantly. Thanks for playing the previous beta versions. I fixed lot of bugs and I added some features including the multiplayer mode. Now you are able to play Nano War against 1, 2 or 3 players with the new game system. The game is still in beta because the multiplayer mode has to be tested and playtested again and again. There are only 3 maps available : 1v1, 1v1v1 and 1v1v1v1. You can still play on the private beta here with this password: beta. Enjoy! And don’t forget to post any bugs or suggestions on the forum (no registration required). Fixed bug when game is paused. Special cell are not paused.